British Foreign Secretary Boris Johnson took an almighty swipe at his boss, Prime Minister Theresa May, when he advised a Libyan army chief not to follow in the Tory leader’s footsteps. Johnson broke with the Tory party’s “strong and stable” sentiments when he admitted to Libyan military chiefs in Benghazi the prime minister should not have called June’s snap election. Claiming the embattled Tory PM jumped before she was assured of bolstering her parliamentary majority, Johnson said the Libyans should learn from her mistake and hold fire on elections. The bizarre comparison between the situation in lawless Libya and Brexit Britain was delivered by the bungling foreign secretary during a two-day visit to the North African state. 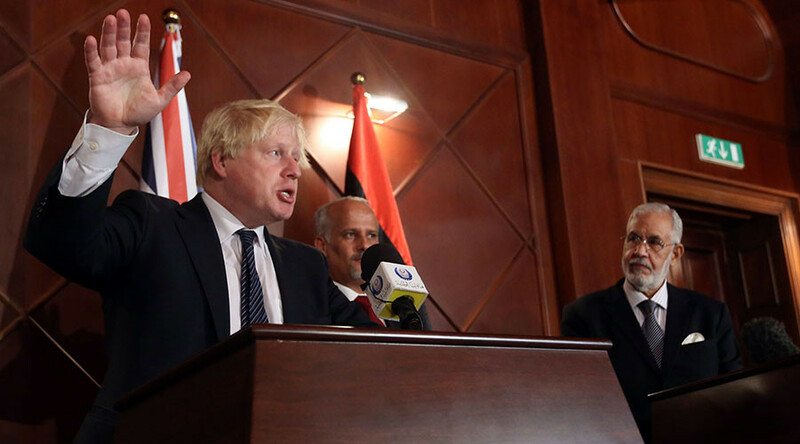 While Libya is in the grips of a brutal and bloody battle between its rickety government and assorted militia units, leading to widespread human rights abuses, arbitrary detentions and murder, Johnson politely asked all sides to come together. He told Libyan National Army Field Marshal Khalifa Haftar, at his heavily guarded compound near Benghazi, that the commander should enter talks with the UN-backed Unity Government led by Prime Minister Fayez al-Sarraj. Despite Britain and France leading a NATO military intervention in Libya in 2011, helping to topple the Gaddafi regime and paving the way for rebel forces, terrorist cells and instability, Downing Street has insisted on meddling once again. Johnson spoke in Benghazi, where the 2011 revolution started, and an area which has seen brutal conflict and the displacement of thousands. However, he finally admitted the UK and France fell well short of the peacemaking they promised when they bombarded the Gaddafi regime in 2011. The attacks which allowed rebels to overthrow the dictator and militias to gain power were later dubbed David Cameron’s “sh*t show” by then-US President Barack Obama. Johnson told the BBC Today program on Friday morning: “I certainly think that we were way over optimistic about what would happen when we got rid of Gaddafi. Johnson even met with the coastguard to see how UK money was being spent on preventing illegal crossings from the Mediterranean to Europe – despite evidence of corruption. Johnson has promised to give Libya more than £9 million (US$11.5 million) to tackle terrorism and trafficking. 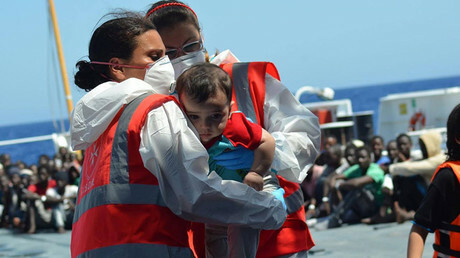 “A secure and stable Libya, better able to deal with the threat from terrorism and the challenge of migration, is firmly in the UK interests,” Johnson said. 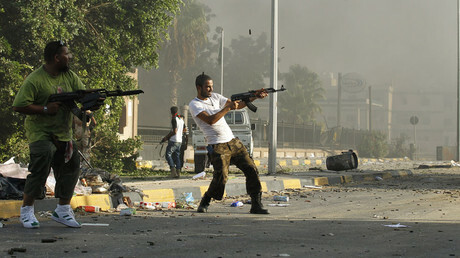 “The Libyan people need a stable state that can meet their fundamental economic and security needs. The foreign secretary urged military leaders and al-Sarraj’s government, which does not control the majority of the country outside Tripoli, to make efforts to unite. However, he warned both sides not to hold an election until they are absolutely ready – unlike Theresa May. Khalifa Haftar’s Libyan National Army gradually wrested back control in eastern Libya from Islamist militants and other rebel groups two months ago.